The epic new trailer for The Cursed Crusade reveals key aspects of the game’s plot, features brutal gameplay battles, action-packed cinematics and hints at the back story of central character Denz de Bayle. 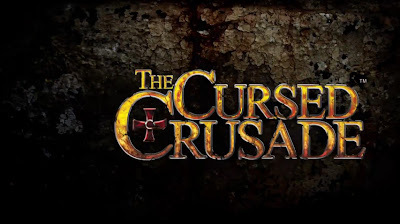 The Cursed Crusade is an action-adventure game, set in the 12th Century during the Fourth Crusade. The story of The Cursed Crusade tells of a ritual performed by the order of Templars. As a consequence, a dark, terrifying new power was obtained. Terrible things started to happen, and many lives were lost; it was then decided that this new power would have to remain a secret. But no secret remains forever untold… With the end of the 12thcentury imminent, the Pope launches a Fourth Crusade to conquer the holy city of Constantinople. The young Templar Denz de Bayle joins up so he can find his father, who never returned from the previous crusade. Denz will find the truth during a journey through the greatest cities of medieval Europe and the Orient. The Cursed Crusade is scheduled to be released in the UK in 2011 on PlayStation®3, Xbox 360® and PC.